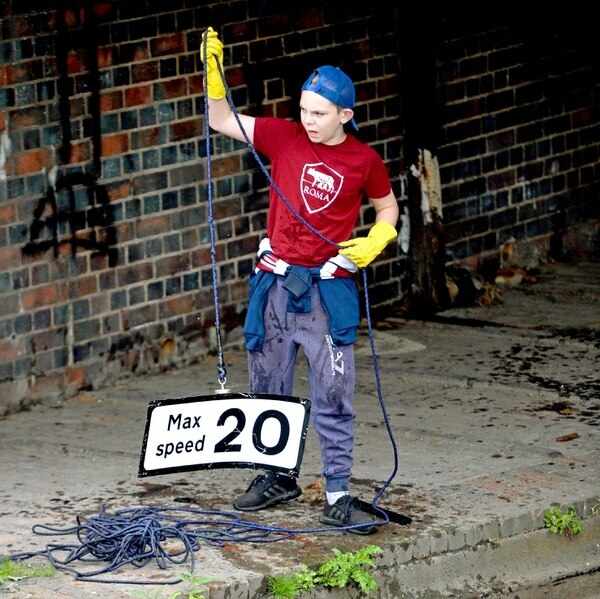 What exactly is lurking beneath the dark waters of our Black Country canals? Well, the Hargood family can tell you; they managed to drag up two shotguns in just two days from canals only round the corner from their home. 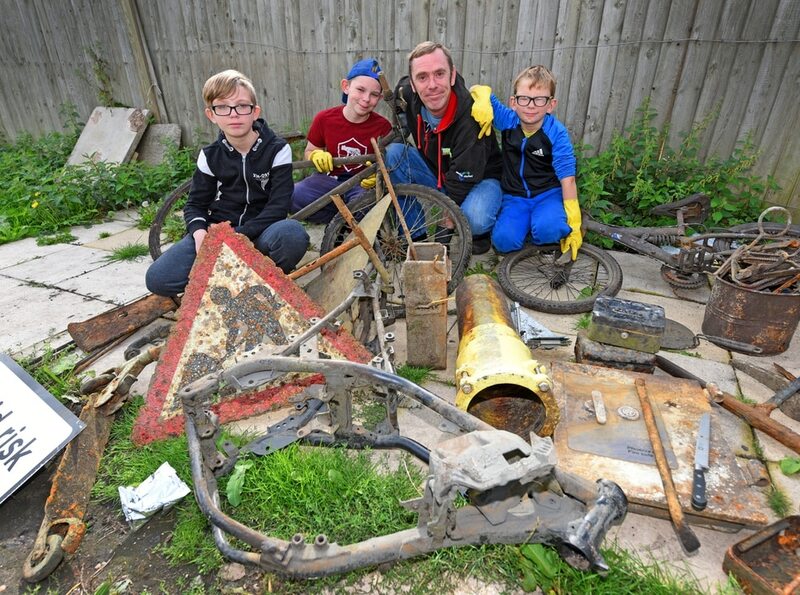 The family-of-five have managed to build up quite the metal treasure trove since beginning their new hobby just last week. 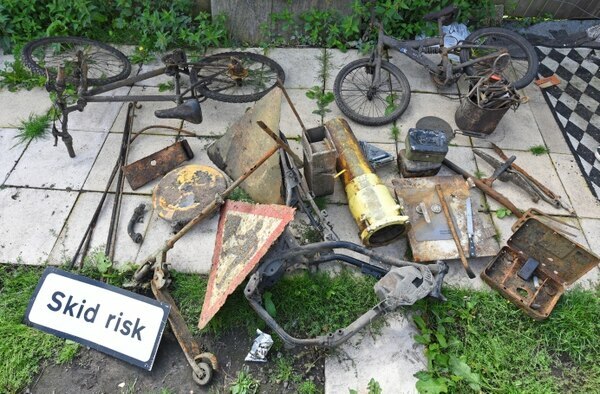 Among their finds is a shotgun, a sword, the end of a double-barrelled gun, four mountain bikes, a safe door, a 20mph speed limit sign, a mobility scooter and the frame of a Suzuki motorbike. 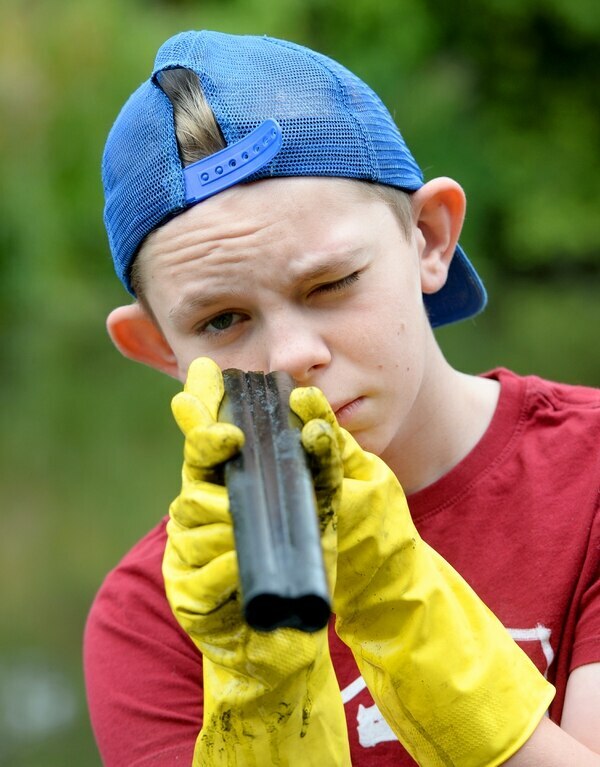 They've even built up quite the YouTube following, with the video of 12-year-old McKenzie finding the shotgun last week jumping to nearly 5,000 views almost overnight. 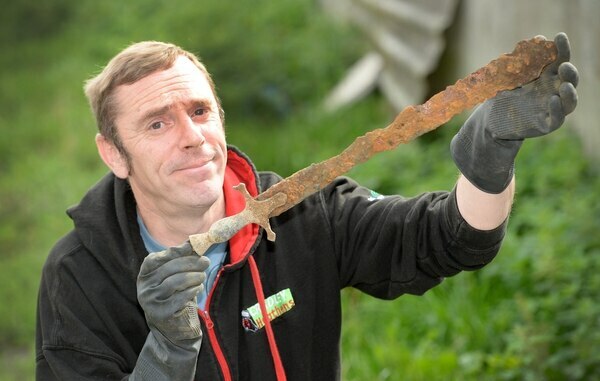 Father Scott Hargood, a carer, said he first decided to have a go at magnet fishing after watching another family trying the hobby on YouTube. 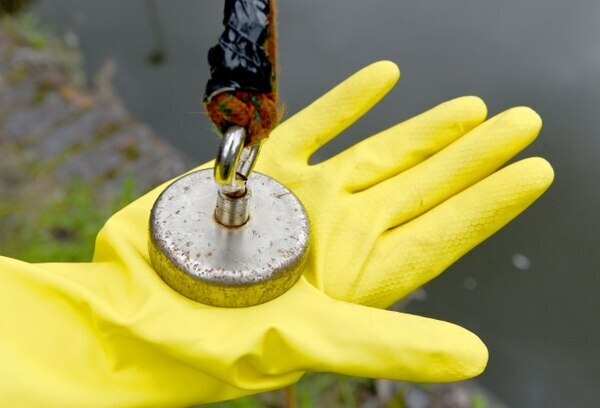 The sport involves throwing a small but powerful magnet far into the canal, and pulling it slowly across the bed back towards the wall. Small nails, bolts and key rings automatically fix onto the circular magnet, but the bigger, heavier items often take one or two goes to pull out. "We do it because every day is different," Scott said. "You have no clue what you're going to pull out. It could be something huge, or it could be nothing. "It's the mystery, that's what we love." But is there an element of danger involved? The parents of the trio have been criticised by keyboard warriors after letting their young sons handle a shotgun they found in the water, after police later told them it was loaded. Scott said he is always careful to keep a close eye on his boys while fishing. "I'd never let them do it without wearing gloves," he added. "You don't know what is in the canal. And I don't like seeing the really smaller kids doing it." His lads clearly love their new hobby, scrambling to have a go with the small £25-each magnets to see what they can find in the water. The eldest two, McKenzie and 14-year-old Logan, are competing over who can find the biggest and best shotgun. The youngest, 10-year-old Finley, swings the homemade grapple hook (a small hand rake duct-taped to blue rope) in preparation for a large find. Their mother, Mary Hargood, has to use crutches and is usually behind the camera, filming the boys as they unveil their discoveries. Has anyone had a problem with what they do? Absolutely not, said Scott. Locals walking past are usually pleased to see someone emptying the canals of rubbish that can damage boats. "People walking past, they're so friendly. We always get rid of everything we find safely, and we wash down the path of any mud as well." Watch what the Hargood family get up to via their Youtube channel.